For nearly 50 years, Richard Leakey, his family and their colleagues have explored Kenya’s Lake Turkana region and have unearthed a wealth of fossil evidence for human evolution, including the ancestors of all humans alive on the planet today, the first anatomically modern humans, and the famed Turkana Boy. This work has only begun to scratch the surface of what is available to be discovered. 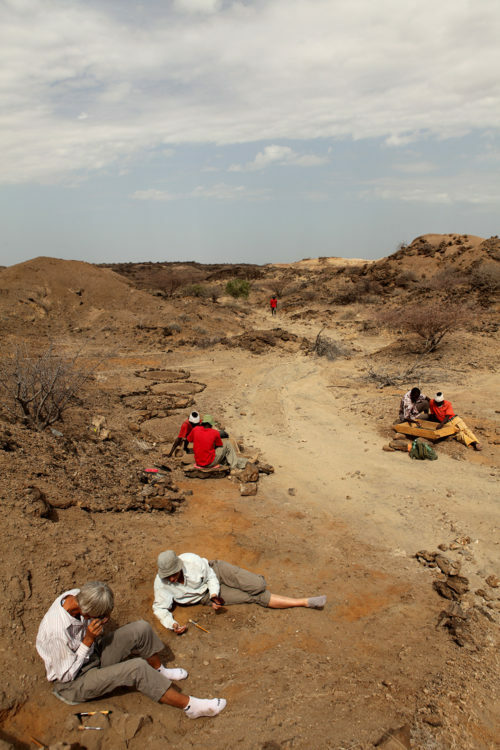 Research at Turkana is ongoing and accelerating, and you can be part of the adventure to discover the whole story of human evolution. By flying AIR TURKANA, you help to support this work financially. All profits from AIR TURKANA support scientific research on the Kenyan origins of humankind. The TBI Caravan is a brand new Cessna Grand Caravan EX. This top of the range aircraft is maintained and operated by Phoenix Aviation, based at Wilson Airport. The aircraft is equipped with oxygen and air conditioning and can seat 10-12 passengers depending on luggage carried.